Universal CityWalk and NBC4 Southern California announced the second annual The Wishing Tree, inviting viewers to pay it forward by making a wish for someone deserving. Beginning Nov. 21 through Dec. 15, viewers are encouraged to submit wishes for friends and family at NBCLA.com/wishingtree. Guests are also invited to share their wishes in person at Universal CityWalk’s holiday-themed “5 Towers” plaza. Every night from Dec. 12-16, NBC4 will grant the wishes live from Universal CityWalk during the NBC4 News starting at 4 p.m. with Weathercaster Fritz Coleman. For the next four weeks, viewers are encouraged to make wishes for others who are important in their lives. Everyone is welcome to join NBC4 and be part of the live wish reveals at the “5 Towers” plaza on Universal CityWalk. Those visiting The Wishing Tree are encouraged to post photos and videos on social media using #NBC4You. 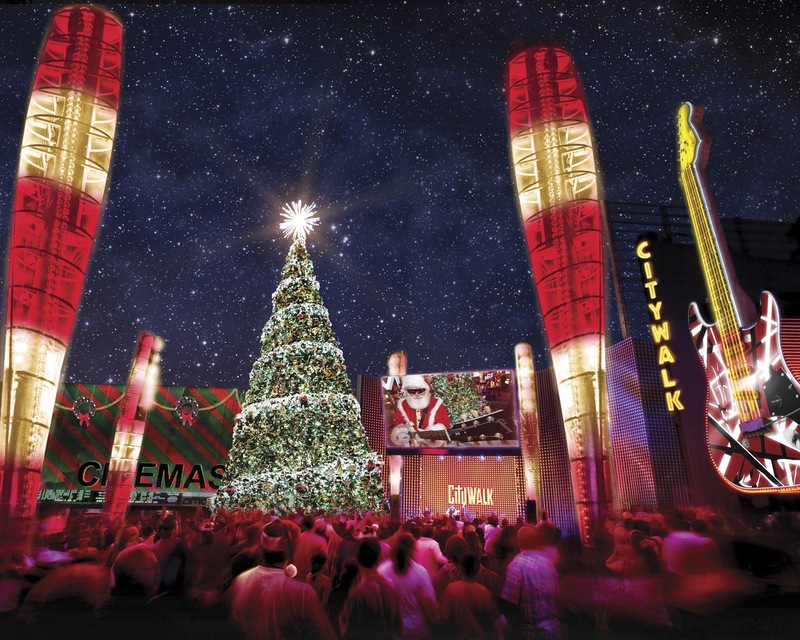 Updates and a schedule of the Holidays at Universal CityWalk can be found at CityWalkHollywood.com as well as on CityWalk’s Facebook- Universal CityWalk Hollywood, Twitter and Instagram @CityWalkLA. Viewers can tune in to NBC4’s Today in LA at 4:30 to 7 a.m. and NBC4 News at 11 a.m. and 4 p.m., 5 p.m. and 6 p.m., and follow @NBCLA on social media for daily highlights. In addition to The Wishing Tree, Universal CityWalk celebrates the spirit of the season, beginning the day after Thanksgiving on Nov. 25 through Jan. 1, 2017. A spectacular 40-foot tall Christmas tree will glisten with 200,000 LED icicles choreographed to the lights and sounds of the season in the 5 Towers plaza. Santa Claus will make nightly appearances and offer special photo opportunities at “5 Towers.” Admission to Universal CityWalk is free. Universal Studios HollywoodTM is The Entertainment Capital of L.A. and includes a full-day, movie-based theme park and Studio Tour. As a leading global entertainment destination, Universal Studios Hollywood delivers highly themed immersive lands that translate to real-life interpretations of iconic movie and television shows. Recent additions include “The Wizarding World of Harry Potter TM” which features a bustling Hogsmeade village and such critically-acclaimed rides as “Harry Potter and the Forbidden Journey” and “Flight of the Hippogriff™,” Universal Studios Hollywood’s first outdoor rollercoaster, as well the all-new “The Walking Dead” permanent daytime attraction. Other immersive lands include “Despicable Me Minion Mayhem” and “Super Silly Fun Land” as well as “Springfield,” hometown of America’s favorite TV family, located adjacent to the award-winning “The Simpsons RideTM.” The world-renowned Studio Tour is Universal Studios Hollywood’s flagship attraction, inviting guests behind-the-scenes of the world’s biggest and busiest movie and television studio where they can also experience such authentic and immersive thrill rides as “Fast & Furious—Supercharged.” The destination also features the Universal CityWalk entertainment, shopping and dining complex, including the Universal CityWalk Cinemas and the “5 Towers” state-of-the-art outdoor concert venue. NBC4 Southern California is the West Coast flagship station of the NBCUniversal Owned Television Stations, serving the vast region since 1949. NBC4 produces more than 40 hours each week of local news and weather, and the station features the largest award-winning investigative unit in Southern California. NBC4’s news operation has received nearly every industry award bestowed on local news, including numerous Los Angeles Emmy and Golden Mike Awards, two national and two regional Edward R. Murrow Awards, and a Peabody Award. NBC4 news is delivered across the main broadcast on channel 4, at nbcla.com, and through multiple interactive social media platforms 24/7. The NBC Owned Television Stations, a division of NBCUniversal, also operates COZI TV (cozitv.com), a national network that brings viewers some of America’s most beloved and iconic television shows and movies.